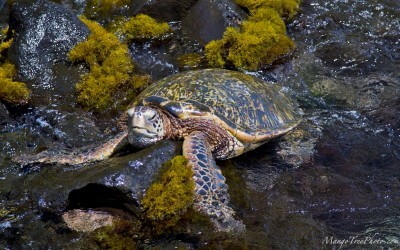 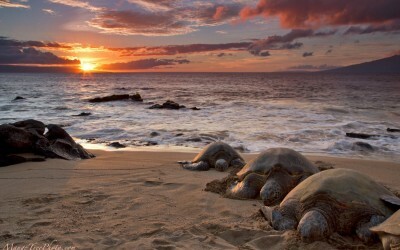 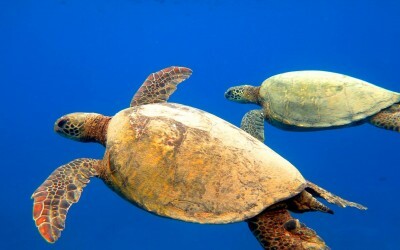 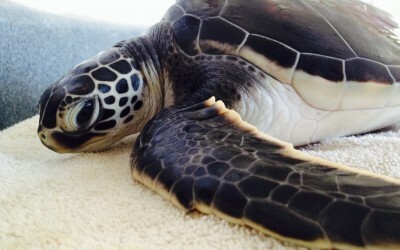 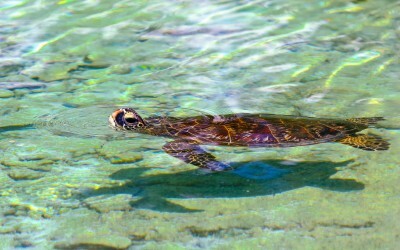 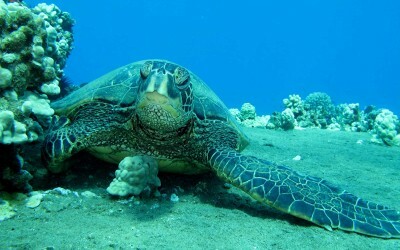 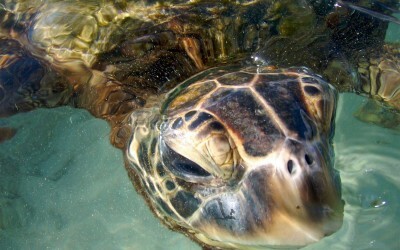 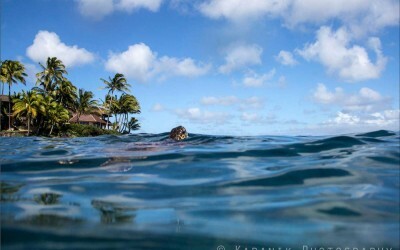 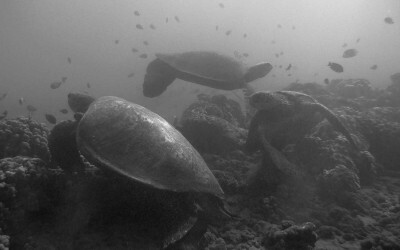 The Green Sea Turtle’s Hawaii population has made a fantastic recovery since being placed on Endangered Species List. 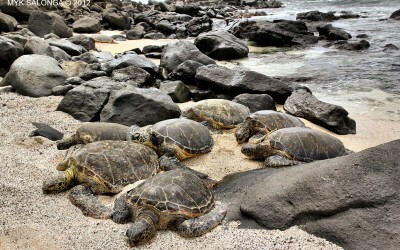 These friendly yet prehistoric-looking animals can be seen on all of the Hawaiian islands more and more often. 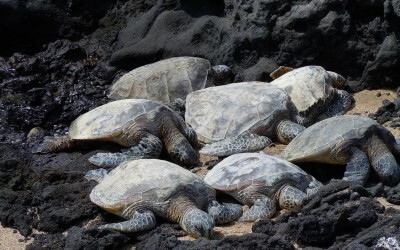 Like honeymooners on the islands, Hawaii’s green sea turtles enjoy laying on the beach under the sun, taking in the warmth and cuddling up to each other. 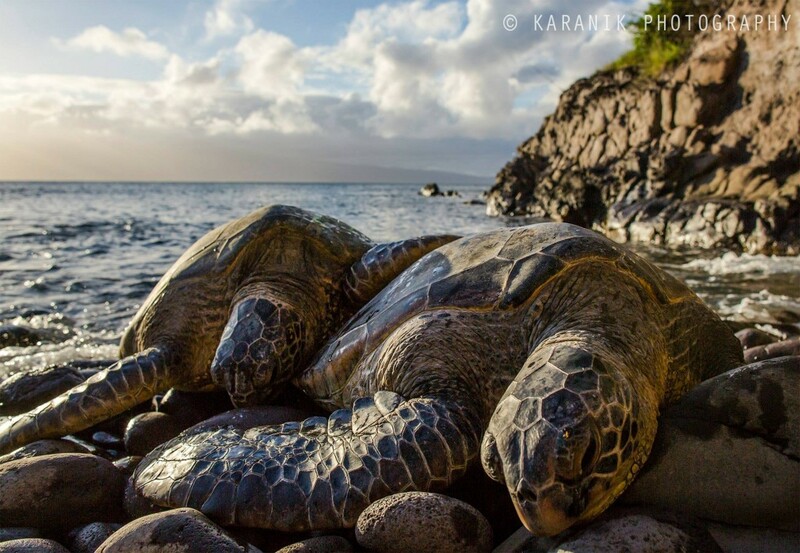 This pair was found along the Napili coast on the island of Maui.